Starting Friday, April 26 through the summer of 2020, L train service will be suspended on weeknights and weekends. The halt of train service is part of the Metropolitan Transportation Authority’s revised plan to repair the Canarsie Tunnel, proposed by Gov. Andrew Cuomo in January as an alternative to shuttering the line completely. While the L train will run normally during peak times for the next year and a half, service on the line will be reduced starting as early as 8 p.m. on weekdays. To ease the impending headache for commuters, the MTA has released a map that shows service alternatives, transfer points, and planned wait times for the L train. Ahead of the revised partial shutdown happening at the end of the month, the L train is shutting down. Starting Monday, April 15, the line will not run for 10 weeknights between Manhattan and Brooklyn from 10:30 p.m. to 5 a.m., Monday through Friday. The shuttered service allows the Metropolitan Transportation Authority to install signal equipment to prepare for rehabilitation work on the Canarsie Tunnel set to begin April 27, as amNY reported. 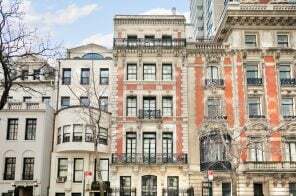 The Metropolitan Transportation Authority has chosen a consultant to oversee the reconstruction of the 100-year-old L train tunnel, the Wall Street Journal reported Thursday. 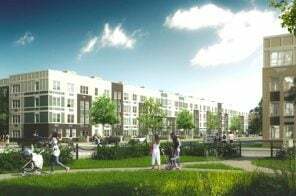 The agency tapped JMT of NY Inc. to review construction timelines and safety and environmental concerns for the never-been-done-before project. After Gov. 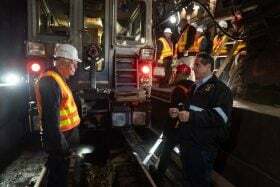 Andrew Cuomo intervened earlier this year, the MTA revised its original Carnasie Tunnel repair plan to not require the L train to shut down for 15 months, but instead have construction work take place on nights and weekends. 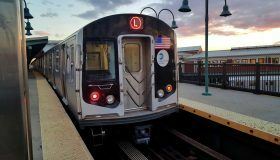 But the $1.2 million contract–which must be approved by the MTA board next week–does not include a review of the feasibility of the updated L train plan before construction is set to begin on April 27. 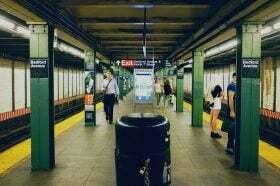 The MTA said in a press release that 100 percent of riders during high ridership hours will have full service under the revised approach to L train repairs. Also, added transit options such as more G, 7 and M service, new Williamsburg Link buses and free transfers will benefit evening and weekend riders. Starting in March, the MTA will be holding open houses with the community to discuss the plan. Amtrak is taking a close look at Gov. Andrew M. Cuomo’s possibly-disaster-averting new L train repair strategy as a “common sense solution” for their own damaged tunnels between Manhattan and Queens, the Daily News reports. The agency would, of course, subject the tunnel fix to more scrutiny before making a decision. 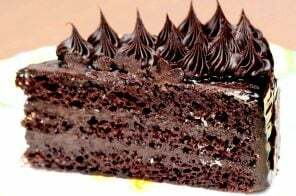 Amtrak chairman Anthony Coscia said “It is important for us to do a thorough vetting so that we can determine now at this stage whether it’s a methodology that we could use. Because if it is, it will make the process far less painful to our travelers,” much like the new subway solution would allegedly be. 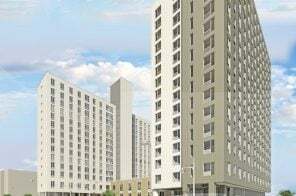 Could this make the Gateway Project obsolete? In reality, the L train shutdown will be no fun for anyone, but in this satirical board game, the doomsday situation gets a playful twist. Bushwick Daily first spotted the Kickstarter campaign to raise funds for the game, which is called “Escape From Hell.” After selecting a hipster character, players roll the dice and follow the path as they try to get from East New York to Manhattan by bus, ferry, bike, or alternate train service. While the plan to shut down the L train for over a year to perform necessary repairs in the East River tunnel it runs through has been in the works for years, Gov. Andrew Cuomo decided this week to see the damage for himself, four months ahead of the looming closure. 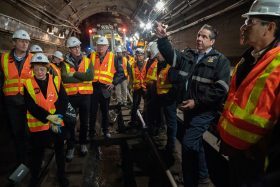 During a midnight tour of the Canarsie Tunnel on Friday, which connects Manhattan and Brooklyn, Cuomo said he saw “a very old tunnel that needed a lot of work,” the New York Post reported. 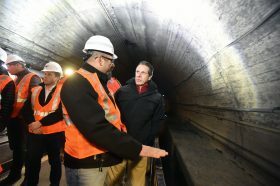 The governor toured the tunnel with two engineering experts from Cornell and Columbia Universities to get a first-hand look and determine whether a 15 month-shutdown is the best-case scenario for commuters. 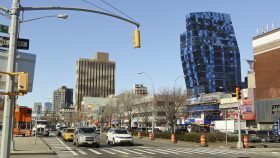 Mayor de Blasio has announced the opening of a new quarter-mile, two-way protected bike lane along Delancey Street on the Lower East Side. 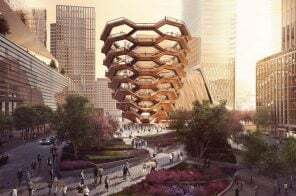 The stretch connects to the Williamsburg Bridge, the most traveled by cyclists of all the East River crossings, and is “expected to play a central role during the shutdown of L train service between Brooklyn and Manhattan” when it begins on April 27th. Currently, 7,300 cyclists cross the Bridge each day, and the Mayor expects the new bike lanes to double or even triple that number. L train riders, be warned. You have exactly six months until all hell breaks loose. The MTA announced that the line will officially cease running between 8th Avenue and Bedford Avenue for 15 months on April 27, 2019 (a Monday, in case you were wondering) so that the Canarsie Tunnel can be repaired from damaged sustained during Hurricane Sandy. 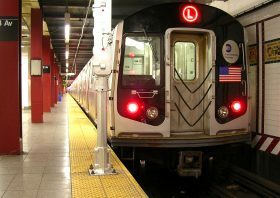 For many, however, the L-pocalypse has already begun; the line was not running between Manhattan and Brooklyn for most October weekends, weeknight service has been suspended through November, and more weekend suspensions are to come in February, March, and April.